Debate: "Morality Does not Need God"
On Wednesday, May 21, at the University of Waikato, Dr. Ron Smith and Dr. Matthew Flannagan debated the resolution, “Morality does not need God.” Flannagan is the co-author of Did God Really Command Genocide. You can find the video of the debate here. Dr. Matthew Flannagan is a theologian with proficiency in contemporary analytic philosophy. He holds a PhD in Theology from the University of Otago, a Master's (with First Class Honours), and a Bachelor's in Philosophy from the University of Waikato; he also holds a post-graduate diploma in secondary teaching from Bethlehem Tertiary Institute. He currently works as an independent researcher and as teaching pastor at Takanini Community Church in Auckland, New Zealand. 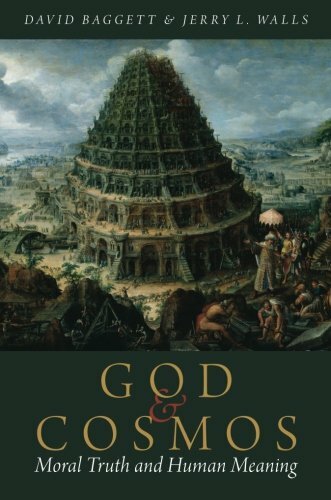 Matthew Flannagan, co-author of Did God Really Command Genocide? and atheist moral philosopher Ron Smith, engage in a lively and thoughtful debate concerning theistic morality. Dr. Smith argues that theism is not necessary for morality; that it is incoherent and leads to atrocities. Dr. Flannagan defends divine command theory. The debate took place at The Lady Goodfellow Chapel, Waikato University on 11 May 2016. Image: "Christ Gives the Law" by Lawrence OP. CC License. 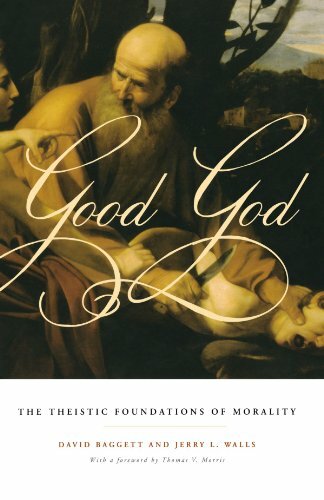 One of our contributors, Angus Ritchie, recently debated atheist philosopher Stephen Law on whether "atheistic humanism can account for the human dignity, morality and reason it espouses." Ritchie, along with co-author Nick Spencer, wrote an essay defending the idea " that Christians ought to be more aware – and more proud – of their humanist credentials, rather than allowing humanism to become a cipher for atheism. Were it not for Christianity, they argue, the core ideas of humanism would simply not have developed in Europe." You can listen to the debate over at Unbelievable?. Photo: "The Good Samaritan" by Lawrence OP. CC License. In this video, Christian philosopher Dr. Trent Dougherty and atheist moral realist Dr. Erik Wielenberg have an irenic and thoughtful discussion on the thought of C.S. Lewis. Topics covered include the moral argument, the problem of evil, and the argument from reason. The conversation was hosted by Baylor University.